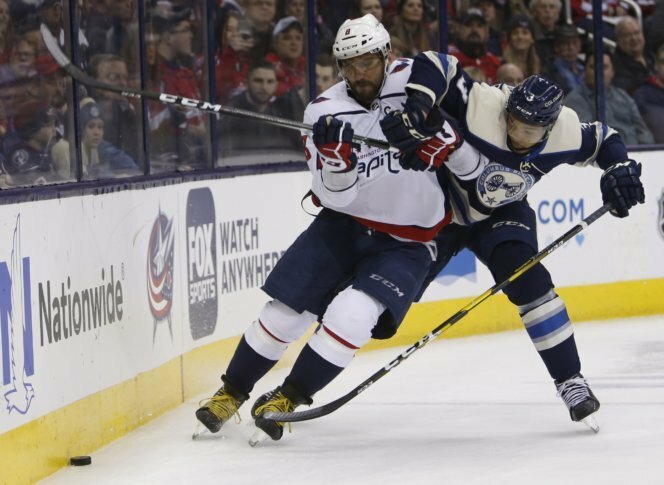 After a productive home stand, the Capitals found themselves shut out by the Blue Jackets 3-0 in their first game of a lengthy road trip. The Caps’ recent issues with penalties are no secret. In the first period of Tuesday’s game, Wilson and Kempny each took a hooking penalty. Both were killed successfully, but coach Todd Reirden did not look pleased with the trend. The first tally of the game came when Anthony Duclair scored for the Blue Jacket six minutes into the second period off an odd-man rush. Struggling to generate offense as Columbus out-skated them, Washington was whistled for too many men on the ice a few minutes later, their third minor penalty of the game. Ovechkin sat to serve the time in the box. But penalties weren’t the only cause for concern. Through the first 40 minutes of play, Columbus outshot the Capitals 24-7 — over three times as many offensive chances. Save for a few good chances — including a shot by Devante Smith-Pelly that seemed good to go — the Caps struggled to carry the puck from their own zone into the Jackets’ end of the ice. In the early minutes of the final frame, things seemed to look up a bit as the Caps got a power play and had three great shots almost right away. With more than a minute remaining in the power play, John Carlson was called for slashing against Cam Atkinson, and that advantage was reduced to a 4-on-4, followed by a brief Columbus power play. Frustration mounted as the Blue Jackets flaunted sleek skating and choked the Caps’ chances on net. A scuffle erupted between Lars Eller and Anthony Duclair with nine minutes left in the game. A nifty top-shelf goal by Nick Foligno all but sealed the Capitals’ fate, putting them down 2-0. Though Braden Holtby was pulled in favor of an extra attacker, the shutout held, and Artemi Panarin’s empty net goal brought the score to 3-0, finalizing the Jackets’ victory. One thing to take away: Holtby allowed two goals tonight, but for the amount of time the Jackets spent in the Capitals’ end, it could have easily been more. His latest impressive performance needs to be mentioned.